A young man of 30 years remains as disappeared from 18:00 this Sunday after entering the sea in the area called “Los Cordeles” of the natural monument “La Portada” of Antofagasta. According to the Diario de Antofagasta, the call to the Fire Station was made by the same companions of the victim, who were enjoying the sea, but in a sector not qualified for bathing. According to the information provided by the same witnesses, the young man of about 30 years old entered the sea, but the currents and waves did not allow him to return to land. Due to the distance of the place with the city, when the emergency units arrived, the bather had already disappeared among the waves without a trace. Despite that, his search immediately began. 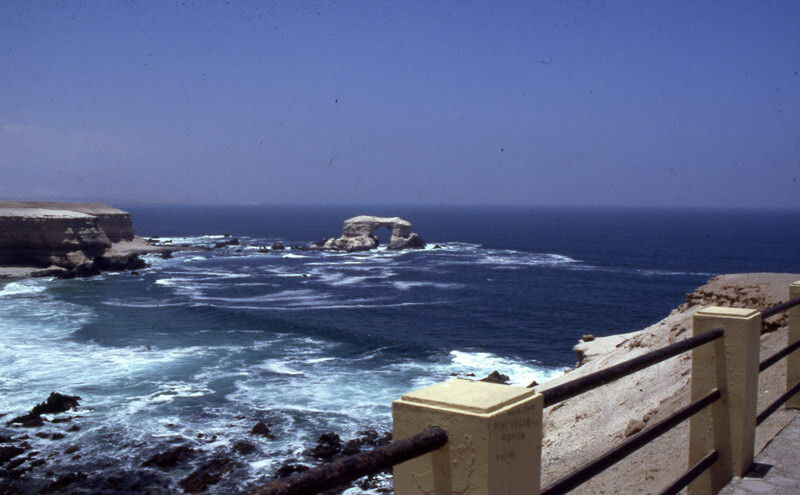 The commander of the Fire Department of Antofagasta, Christian González Weber said that “for more than two hours the search was carried out both by sea and by the shore, with a rescue motorcycle, personnel on foot and even with drones from the institution , plus another from a private individual who also joined the search tasks “. Staff of the Chilean Navy also participated in the work, supporting the work of Firemen with a speedboat to be able to access the place of the emergency more quickly. The two companies of Firemen who came to the place worked with the rescue watercraft plus the personnel that carried out the search by land. A difficult task since, for this last one, the “professionals of the emergency” had to descend several meters by the cliffs by means of a system of ropes that allowed them to reach the lower part of the beach. This, because in that place there are no accesses enabled except for a cave with strings tied by hand and that is usually used by some visitors to descend unauthorized to the shore. The search and rescue efforts would continue on Monday.